Discussion in 'iPhone and iPad Games' started by jibjelly, Jul 6, 2015. Go! Go! 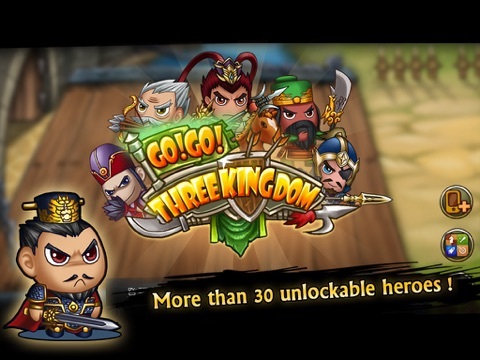 Three Kingdom is a tower defense game based on the history of three kingdoms of China. 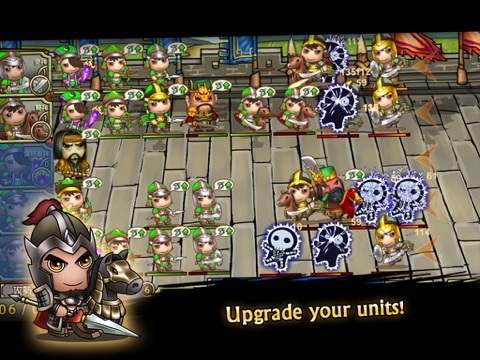 Player can upgrade their heroes and units to finish the game! Check our movie on youtube now! https://www.youtube.com/watch?v=MxQFwXiFaF8 There are more than 30 heroes to unlock! 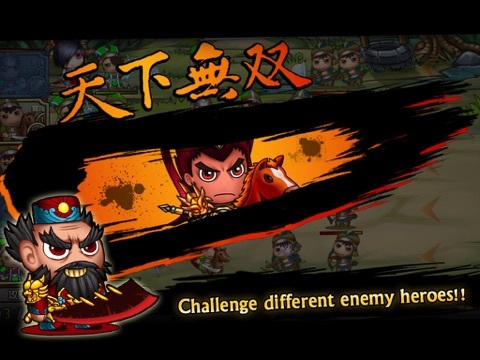 You can choose the famous 3 kingdoms heroes - Liu Bei, Guan Yu, and even Lu Bu! Challenge the total 40 stages now! The control is very simple. 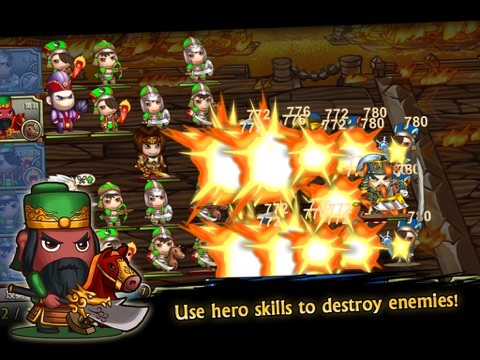 Drag the heroes and their 3 units into the stage to fight against the enemies! 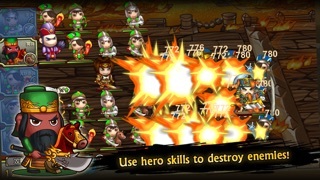 Each hero has their own skill and unit type. 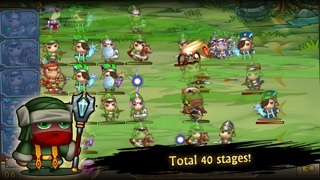 Form your own army with different heroes to complete the mission in each stage now! [Unit types] Infantry - Normal melee units, average attack and defense Spearman - High attack but low defense melee units. Spearman can attack multiple enemies at the same time. Cavalry - low attack but high defense melee units. Cavalry can launch rush attack with higher damage! Archer - low attack but high attack rate ranged units. Elementalist - High attack but slow ranged units. - Iced elementalist can freeze enemies - Fire elementalist can set enemies on fire - Electric elementalist can paralyze enemies Different units have different characteristics. Combining them wisely can greatly improve your chance to survive! Tips: - Finish the goals in achievement to get extra coins! 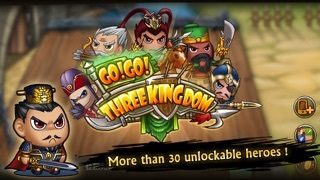 - Retry finished stages and earn 3 stars if you are out of coins! 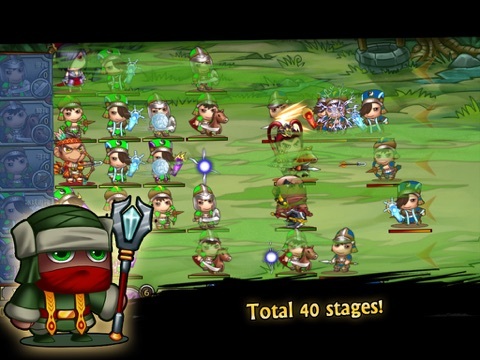 - Level up your heroes when you are stuck! - Jade is rare in game. Use it to increase the leadership point of your army! 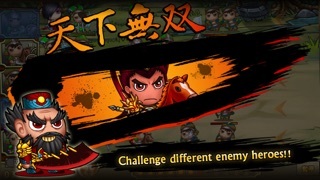 - Cavalry rush attack is very useful against large amount of enemies! 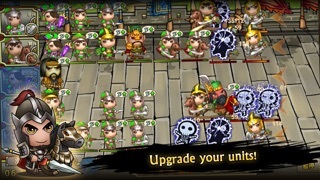 - Protect your ranged units with melee units!